VICKSBURG, Miss. 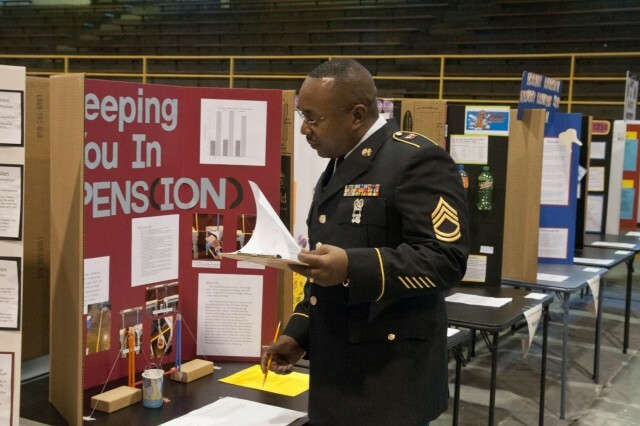 - Army Reserve Soldiers from the 412th Theater Engineer Command volunteered to assist a local school with judging their science fair Oct. 9. Master Sgt. Gloria Belin and Sgt. 1st Class Darren Mitchell judged projects ranging from physics, engineering, social sciences, zoology and chemistry for Saint Francis Xavier Elementary School in Vicksburg, Mississippi. The 412th TEC Soldiers judged more than 20 projects between them. The Soldiers said they volunteered to help the school and meet people in the community, but their biggest motivation was the children. 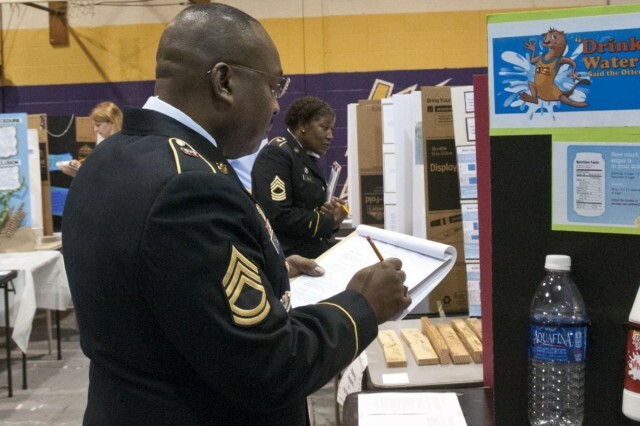 "I volunteered to judge because I think young kids need positive role models and by young kids seeing us in uniform, it helps influence the kids to success by seeing a positive role model and idealizing great positive things," said Mitchell, operations noncommissioned officer for the 412th TEC. Representatives from the school were appreciative of the support of the 412th TEC and think the children, the school, the community and the 412th TEC benefit from their participation. 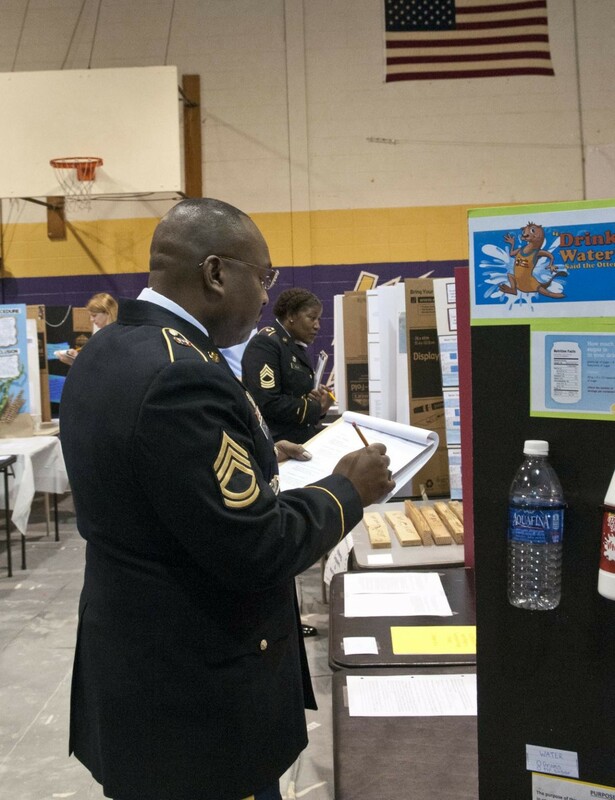 "Because [the 412th TEC is] here judging, all of the children know the 412th is involved and will be able to show them that they support the school and, of course, we support the 412th," said Sharron Harris, science fair coordinator for Saint Francis Xavier. "It benefits the school by letting the students, the parents, the grandparents and others know and see the 412th is a partner with the Vicksburg Catholic schools, which consists of all three parishes: Saint Mary, Saint Michael and Saint Paul." The impact was not limited to the children, but also the view of the Army Reserve in the community. "To me, it's a positive influence to the community about the Army Reserve in their community. It shows we are willing to come out and participate in community activities," said Belin, operations noncommissioned officer for Deployable Command Post 1, 412th TEC. It shows us as a positive role model for the Army, it shows how positive we are about participating in the community." The volunteers believe this participation in the community is part of being a well-rounded Soldier. "It's just good for the Army Reserve to let the people in the community know we're not just combat rangers," said Mitchell, a Garyville, Louisiana, native. "We're actually here to support and serve the people by any means necessary, education included. There are other sides to being a great Soldier other than just getting out there in a combat zone. That's important: that we're diversified." The school invited a variety of professionals to judge, hoping to build relationships. "We needed a variety of judges from all over the city of Vicksburg and we wanted to include all the professional groups and institutions so we chose to invite the 412th," said Harris, a Hattiesburg, Mississippi, native. 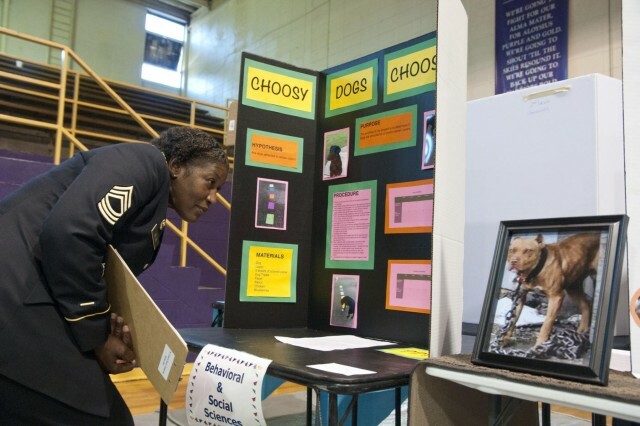 "[Building a community relationship] was one of the reasons for inviting the 412th so we would be able to extend our invitation to the 412th to get involved with the Vicksburg Catholic schools, not only in the science fair area, but all other areas. We welcome [the 412th TEC] to come to any event we have." 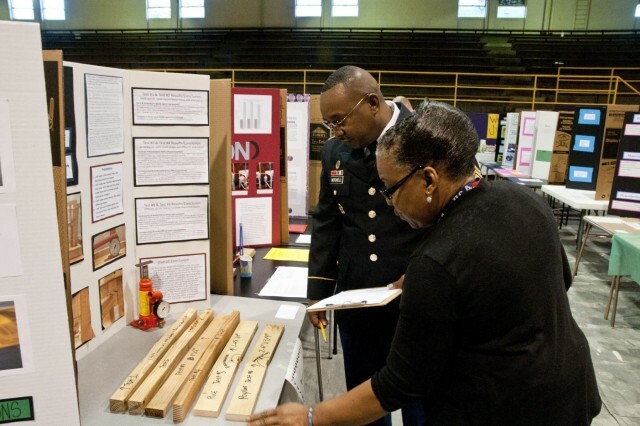 The Soldiers who volunteered believe the invitation to professionals encouraged the students. "I personally think it was a great opportunity, just the invitation and the opportunity to be in the presence of a lot of professional personnel that were all being positive role models to help benefit these kids, with the experiments and knowledge, by giving them the support to be better future leaders," said Mitchell. Volunteering was essential to building a mutually beneficial relationship between the community and the 412th TEC, according to the Soldiers who participated. "It shows we are involved in the community and they can depend on the Army Reserve and I think it's also positive for us, that we can depend on the community to help build that cohesion between the military and civilian world," said Belin, a Columbia, South Carolina, native. "I also think we need the volunteers in the community and I think they would come out and volunteer and assist us as well as we volunteer and assist them. I think it rolls back and forth, the community helping the Army Reserve and the Army Reserve helping the community." The Soldiers took pleasure in the experience and hope to participate again. "I really enjoyed it. I never judged a science fair before and it was very interesting to see how the kids actually put together projects. Some go very into detail," said Belin. "I would like to do it again sometime." Belin should get the opportunity as the school plans to continue to extend the invitation. "We would like to extend an invitation for the 412th to come to all events and we would like to also let the 412th know how much we appreciate them coming and helping us with our science fair," said Harris. "We'll be extending an invitation every year from now on to have them involved."